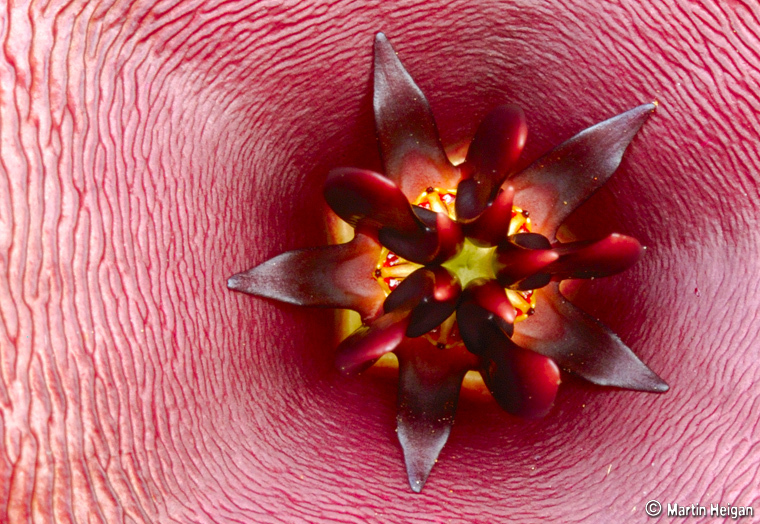 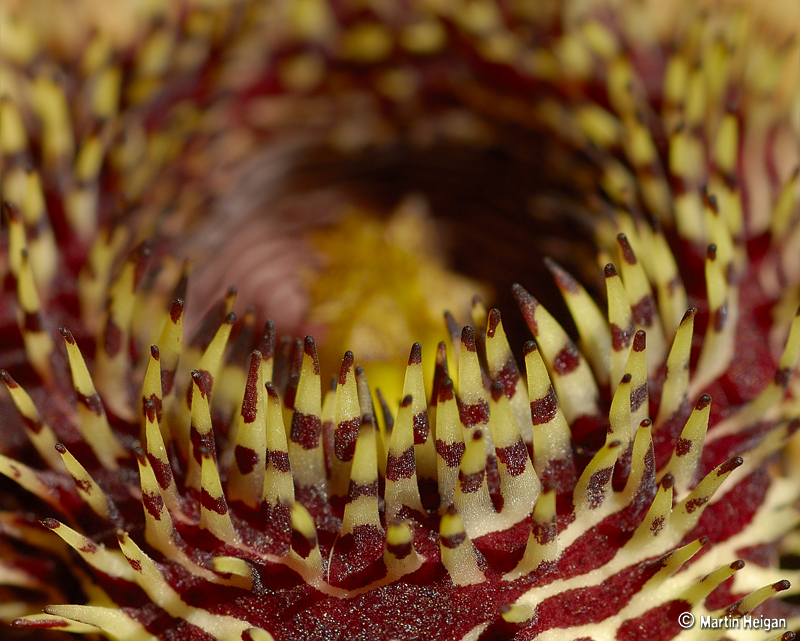 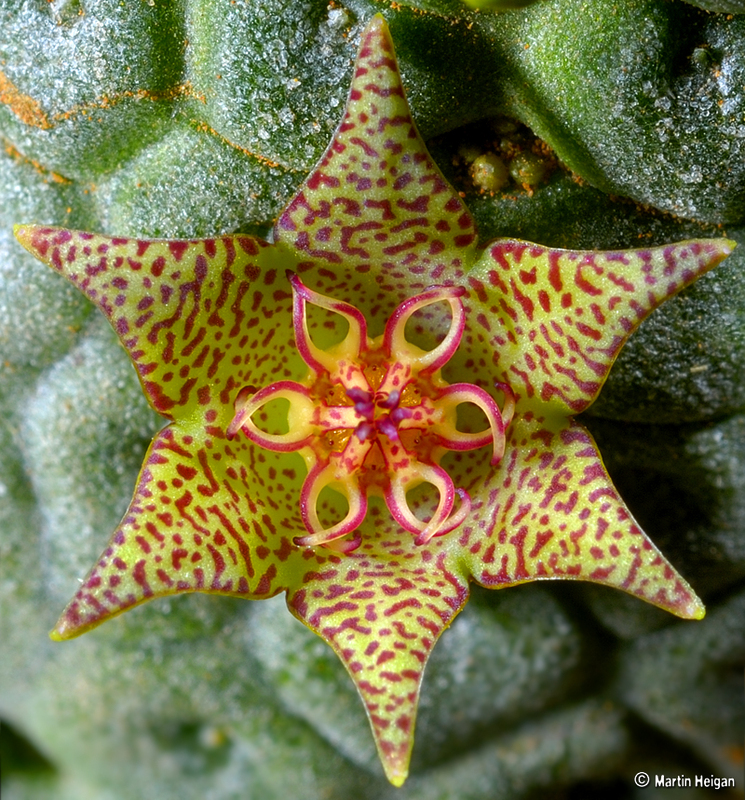 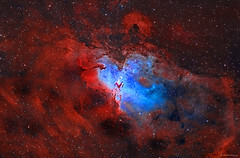 An Extreme Macro photograph of the Corona of Stapelia glanduliflora (a Stapeliad flower from Clanwilliam, Western Cape, South Africa). 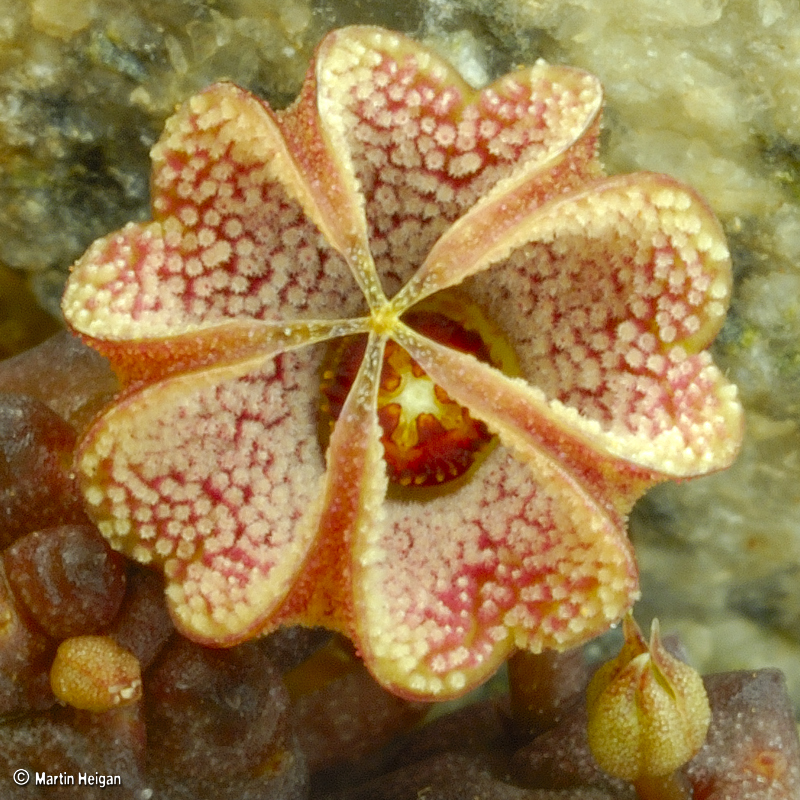 A macro photograph of a very tiny Pectinaria articulata subsp. 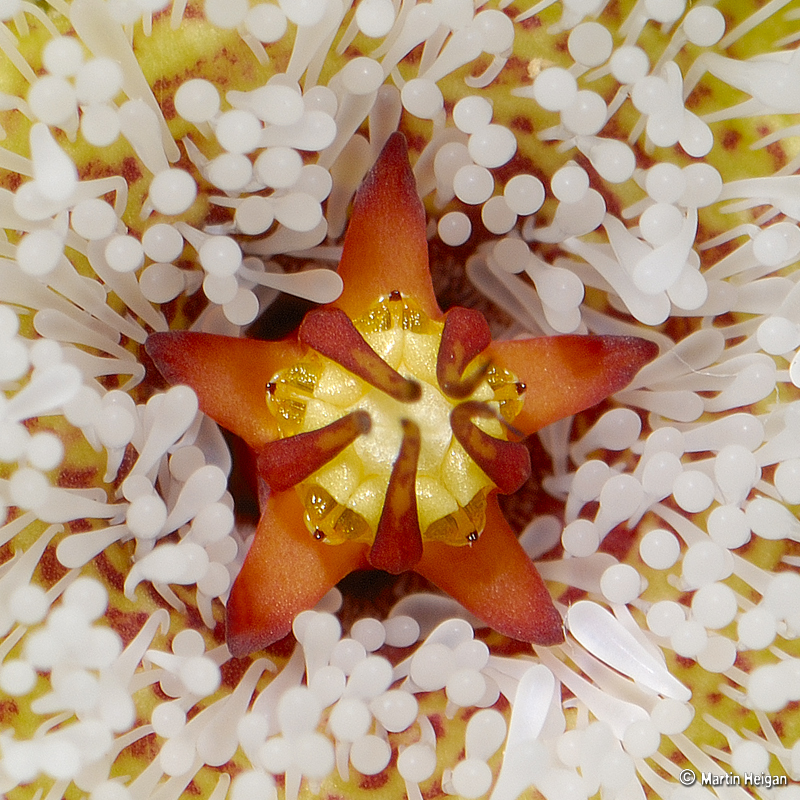 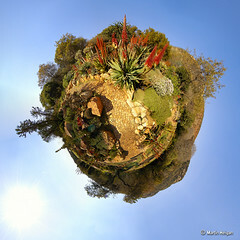 asperiflora Stapeliad flower. 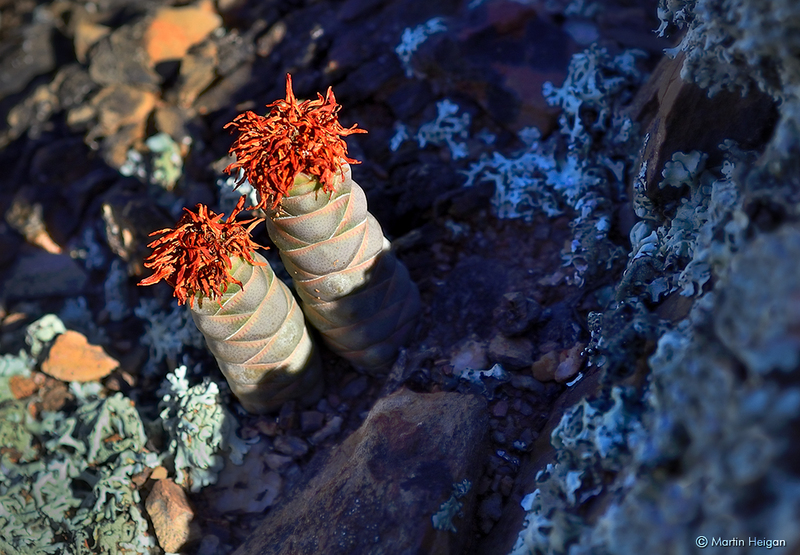 Crassula barklyi (with flowers just past their prime), photographed in habitat between Nieuwoudtville and Vanrhynsdorp (Knersvlakte, South Africa).